Lisa's class is learning about probability. For part of her homework, she has to think of an event that will happen, one that might happen, and one that can't happen. Who is that Boston terrier that keeps popping into Lisa's imagination? It's probably Penny! Loreen Leedy is widely praised for her ability to make concepts fun and accessible to children, and she has done it again in this great introduction to probability. 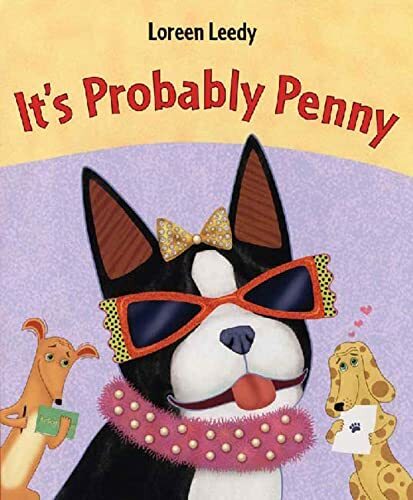 It's Probably Penny is a 2008 Bank Street - Best Children's Book of the Year. Her web site is LoreenLeedy.com.